Heavy traffic and non-existent parking is threatening to derail today’s state election. An estimated 600,000 Sydney residents have been denied the chance to vote because they couldn’t find parking at the polling stations. Ms Sinclair told Double Bay Today her family returned home after losing all hope of casting their votes. “It was either copping a parking fine or a fine for not voting. We went the latter,” says the mother of two. And she’s not alone. 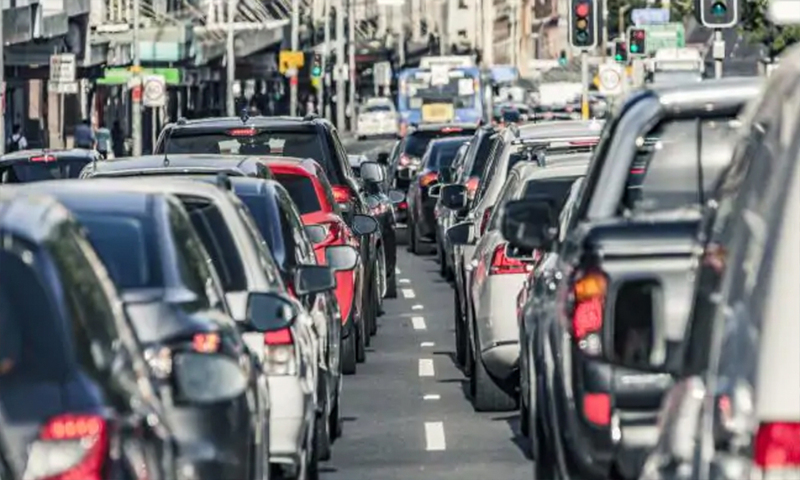 Heavy congestion thanks to Sydney’s catastrophic over-development has led election officials to consider keeping polling stations open tomorrow. “At this stage only 450,000 people in the Sydney metropolitan area have managed to vote. We believe they were able access the stations by foot,” says Chris Gammat from the Australian Electoral Commission. The problem is being exacerbated by instability of the government’s online voting website, ivote. “Due to the site crashing repeatedly, only a handful of voters have managed to use it,” says Gammat. The Premier was not available for comment.